eSports has certainly grown as an industry since it first popped up in the past 10 years. 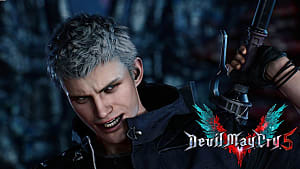 While back then eSports tournaments were mostly amateur competitions in someone's basement or garage, and now they're multi-million dollar productions with hordes of fans, the core ideals of this industry niche are still there. As a genre, eSports is heavily engaging. 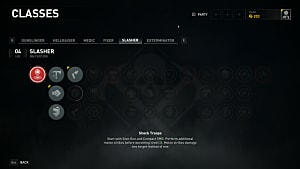 You can get on your computer at just about any time of day and be able to watch some sort of tournament. Whether you like MOBAs, FPSs, RPGs, card games, pr basically anything else, you'll find some sort of eSports circuit to follow. You name it, there’s probably a competition for it. Along with that, the players you watch are just everyday people. While they may have their own ‘celebrity’ status, there’s a good chance you’d be able to interact with them directly on Twitter or Twitch. Can’t really say that for many traditional sports pro players, can we? 2016 has seen a record-setting growth in eSports. With over 3,000 tournaments, $81 million in prize money, and $493 million in revenue, it’s safe to say eSports is not as silly as some skeptics once believed. Let's take a look back at the thriving success of eSports in 2016 and what we can look forward to in 2017. 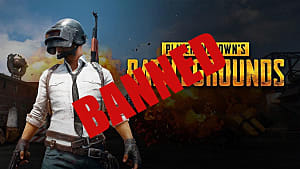 Tournaments have expanded throughout the years from small settings for a couple hundred dollars to sold out arenas across the globe for millions in prize money. Tickets for events have been just as hot as tickets for traditional sports or blockbuster concerts, with venues selling out mere hours after release. 2016 was really no different, as major eSport events have just kept growing bigger and bigger. Just about every weekend has been dedicated to some sort of tournaments, whether on or offline. 2016 even saw the largest eSports tournament to date, with Dota 2’s ‘The International’ championship reaching a record prize pool of over $20 million dollars and over $9 million going to the winners, Wings Gaming. The Key Arena in Seattle was completely sold out during the event, and millions of other fans were watching worldwide. League of Legends also held its World Championship for the sixth year in a row. What made this year different was that there wasn’t just one venue for the event -- but four total throughout the United States. The finals between SKT and Samsung Galaxy played out in front of a crowd of nearly 20,000 fans live at the Staples Center in Los Angeles, California. 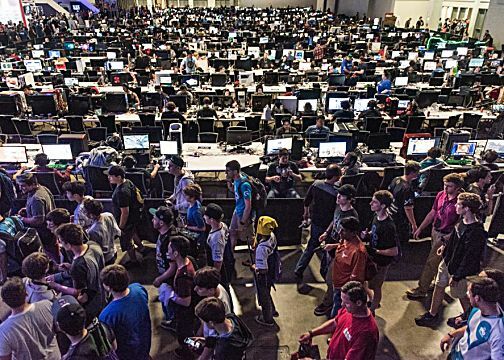 As if that wasn't enough...one of the longest-running gaming event organizers, DreamHack, held a massive amount of tournaments throughout the year. DreamHack events have been solely restricted to Europe since its inception, but in 2016 they brought the chaos to the United States. 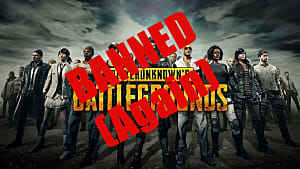 The festival debuted in the states in Austin, Texas with over $1,000,000 in prize money throughout the eSports tournaments. And next summer, there'll be another DreamHack event in Atlanta. While these were the biggest events from the year, they certainly weren't the only ones. There were simply too many other tournaments to mention. The sustainability of eSports tournaments continue to grow year after year. Most can relate live eSport events as the most adrenaline inducing, exciting experiences of the gaming calendar. Tournaments can sometimes last the for days or weeks, and tickets are actually more affordable than those sold for pretty much any traditional sporting event. 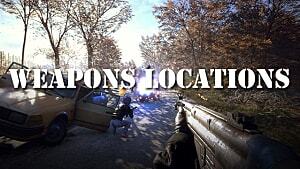 The live aspect of these productions attracts millions of fans day after day. 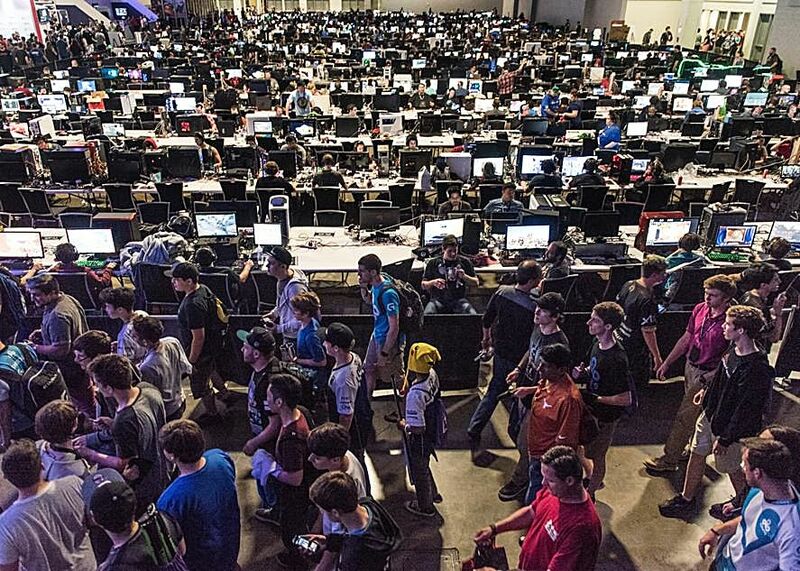 eSport tournaments and festivals are truly one of the strongest attractions for gaming fanatics. One of the quickest growing extensions of eSports in 2016 is competition on a collegiate level. 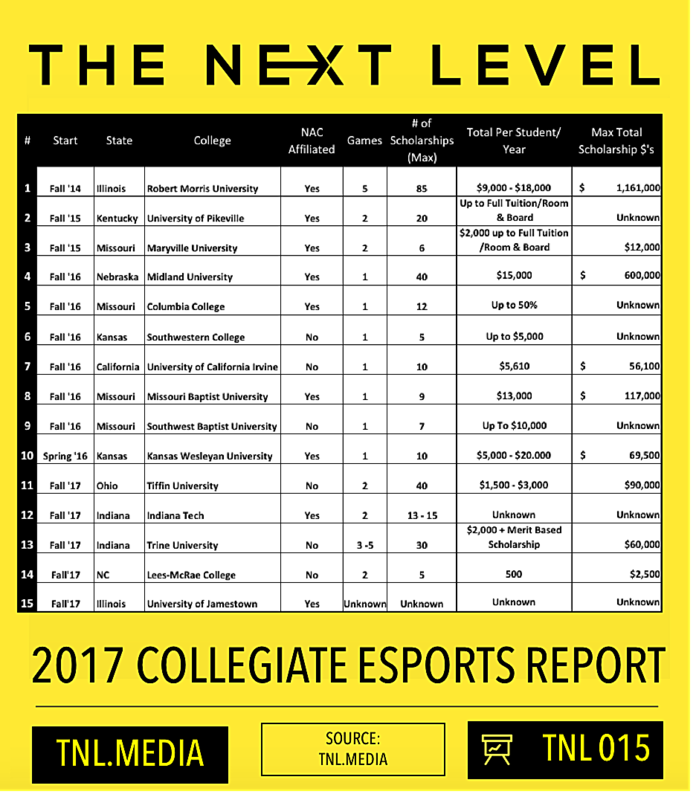 According to TNL Media, the number of schools offering eSports scholarships have skyrocketed in the past year from 3 in 2015, up to 10 in 2016, plus a total of 15 planned for 2017. At the max, Robert Morris University is projected to give out 85 eSports scholarships across five games averaging over $1 million total! Institutions are taking eSports seriously, now more than ever. Tespa has been at the forefront of collegiate eSports since its creation in 2013. 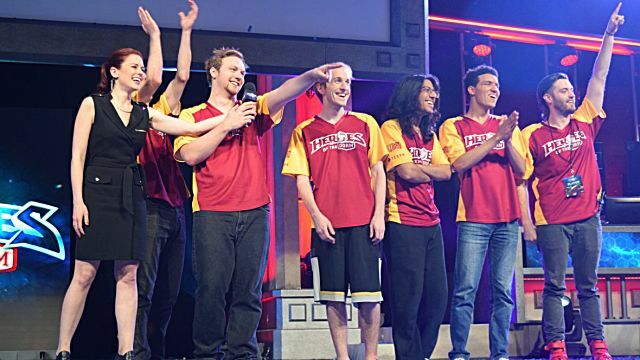 A contract with Blizzard has allowed them to provide the most prestigious event for collegiate Heroes of the Storm -- "Heroes of the Dorm", which has just wrapped up its second and largest year. Participation was raised from 2015 along with the prize pool, offering full tuition to the winning team for the rest of their collegiate career. The playoffs and finals were also broadcasted on ESPN2 over a two-day span. Reactions to the broadcast were controversial, as outsiders vigorously didn’t understand what was happening, and felt like eSports had no place on ESPN. While some of the backlash was troublesome, it got a conversation going about the legitimacy of eSports in a traditional world. The University of California-Irvine took dedication to their student athletes a step further in 2016, as they opened up the very first public college eSports arena on their campus. 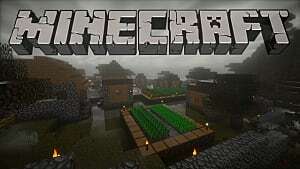 Their state-of-the-art arena is loaded with 80 gaming PCs and a webcasting studio. UCI already vets an extremely successful League of Legends team which they provide scholarships to. 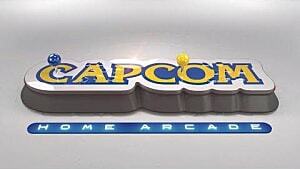 Now their team will have a practice headquarters along with an area for students to game for an hourly rate. With a strong backing from their respective institutions, collegiate eSports are definitely the future. The financial support provided gives student athletes the ability to focus on the game and their schooling without worrying about how to pay for it. This coalition of scholarships shows that universities are taking eSports seriously and assisting their athletes, just like they've done in the past with traditional sports. The training received in collegiate tournaments will be hugely beneficial in the long run, as college athletes turn professional and overall make for stronger players. One major aspect eSports has lacked up until recently is backing and popularity from prominent figures outside of eSports. Not to say that’s necessarily a bad thing, because most eSport enthusiasts and gamers love it for the fact that it’s more of an ‘outsider’ community. But you have to admit it helps legitimize the industry when you get support from big names. 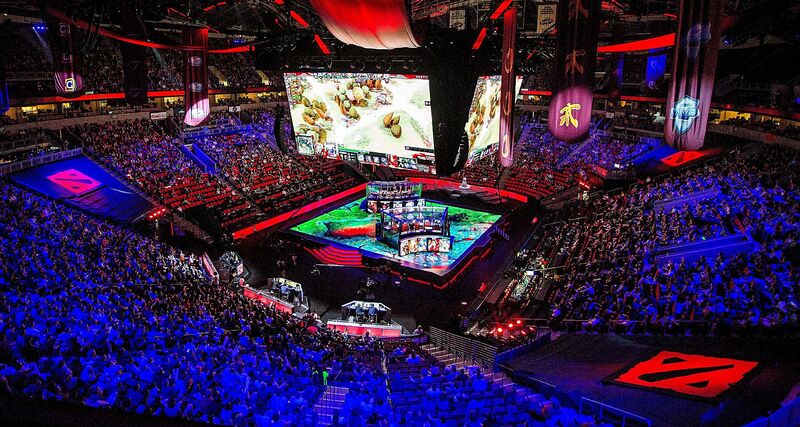 It’s one thing to say that Key Arena sold out for a tournament, it’s another thing entirely to say that Rick Fox started his own eSports organization. The latter makes people turn heads. 2016 saw a huge growth in public popularity and celebrity backing, which doesn't look like it'll be slowing down anytime soon. As previously stated, retired basketball player Rick Fox founded his organization, Echo Fox, after he bought the LCS spot of Gravity Gaming for around $1 million. Echo Fox currently has teams in CS:GO, League of Legends, and Street Fighter V, among others. Fox’s interest in eSports has sparked others in the traditional sports realm to get involved as well. Former athletes Alex Rodriguez, Shaquille O’Neal and Jimmy Rollins all put investments into NRG eSports in 2016. Many European football clubs have been buying into eSports organizations -- and in September, The Philadelphia 76ers followed suit. 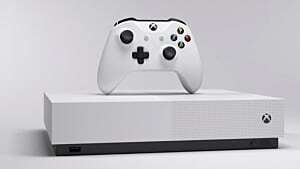 They became the first North American professional sports team to own an eSports team after they bought popular franchise Dignitas and Apex Gaming. While skeptics may think that a basketball organization has no business dabbling in eSports, 76ers CEO Scott O’Neil made a point to surround the merger with only the best in the business, keeping on former Dignitas owner, Michael O’Dell, and former Apex general manager, Michael Slan. Along with celebrity endorsement, 2016 saw a huge influx of support from cable companies. Heroes of the Dorm was broadcasting on ESPN2 with over 100,000 viewers. TBS created its own eSports series, ELeague -- which broadcasted on TBS every Friday night from May to September. ELeague’s primary focus right now is on CS:GO ,but they also held a small Overwatch Open during the season. The CW broadcasted Machinima's ‘Chasing the Cup’, following five top-ranked Mortal Kombat X players along with broadcasting the ESL Mortal Kombat X Pro League finals. 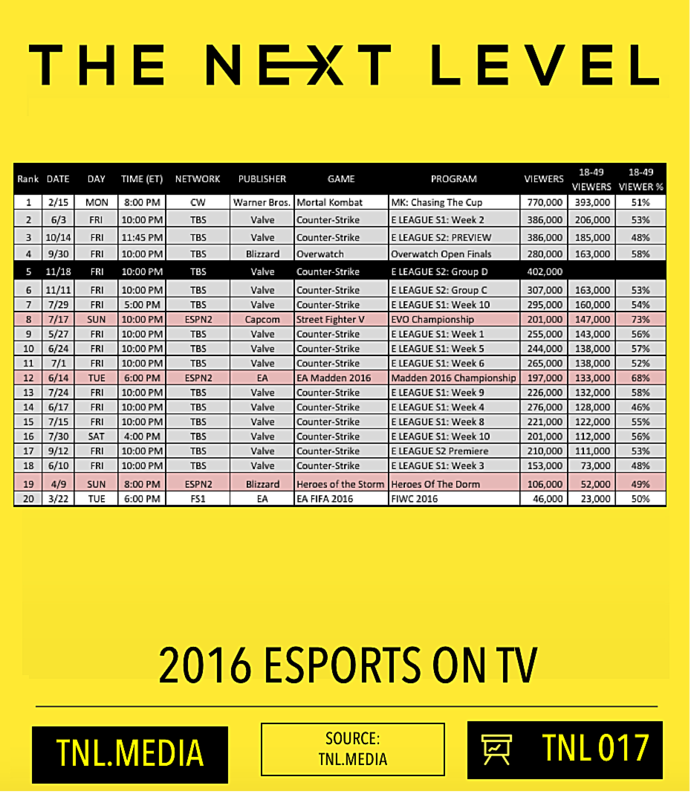 As you can see, according to TNL Media, 2016 was packed with cable broadcasts of eSports with viewership raising to over 700,000. While it's understandable that this attention from celebrities and cable companies isn't necessarily needed for the success of eSports it's certainly helpful in getting more involved. 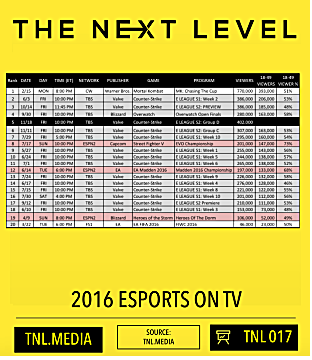 If 2016 is any projection for the path of eSports, 2017 is going to be bigger and better. 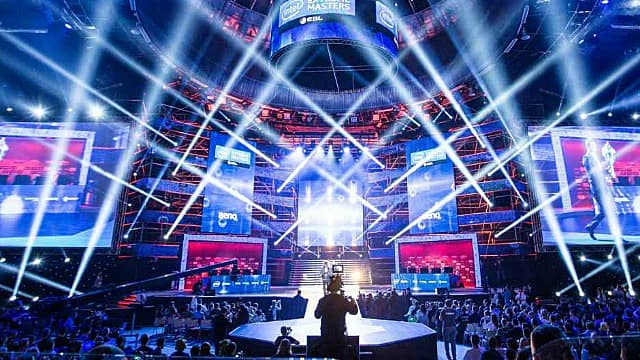 With endorsements from celebrities and major corporations, people unfamiliar with eSports are going to be seeing more and more of it in the mainstream. As major events like Dota 2's The International, and League of Legends World Championships open their prize pools up to crowd sourcing, the projection for prize money in 2017 will skyrocket. On the collegiate level, at least five schools have announced they will be offering eSports scholarships beginning in the Fall of 2017. That being a full year from now, it's highly likely other institutions will follow suit. Many are also projecting that eSports will also break $1 billion in profits during 2017. As fast as this genre is growing, that seems like an extremely reachable goal. What did you think about the rise in eSports in 2016? 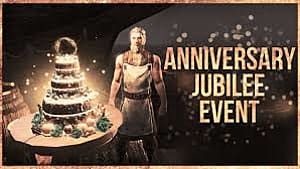 What was your favorite moment? What do you hope for 2017? Let us know in the comments below!